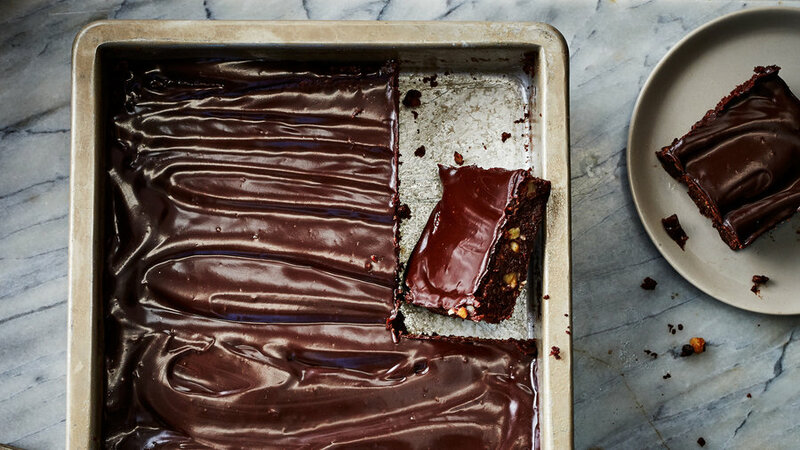 Almonds and cinnamon are what make Mexican chocolate special, and they flavor both the brownie and the streusel in these bars. 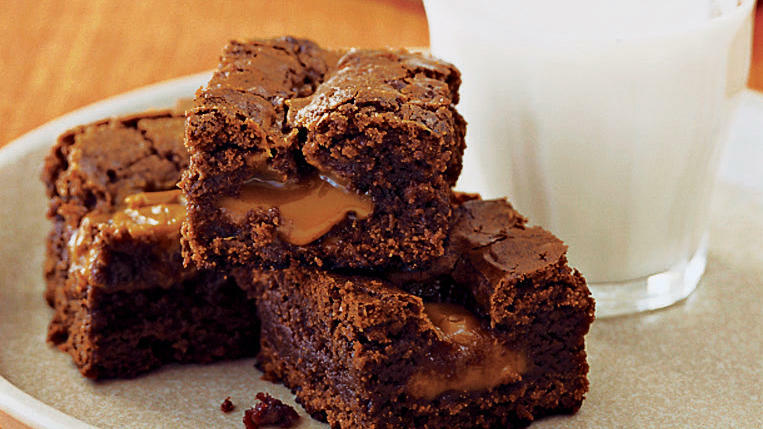 Chewy, and big enough to share—though you may want every bite. 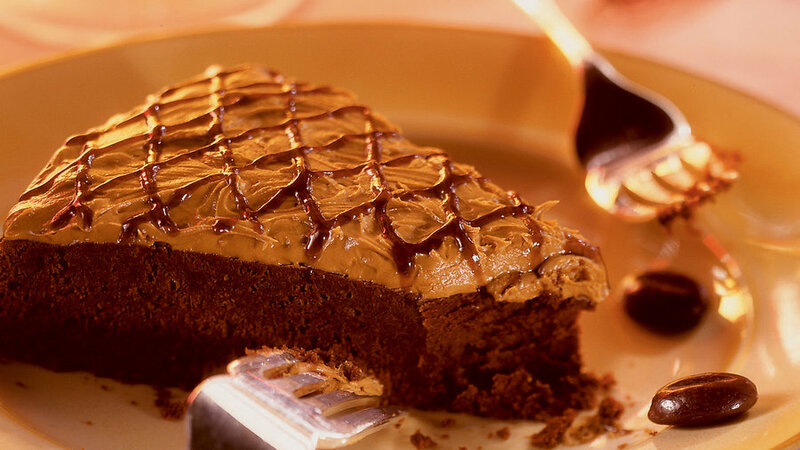 For the richest flavor, use dark chocolate and cocoa such as Scharffen Berger. 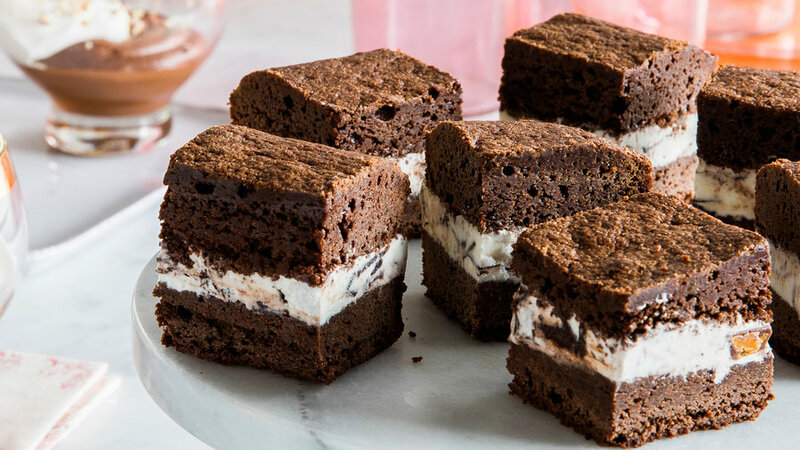 Michael Recchiuti, a San Francisco chocolate visionary, prefers to make these moist brownies with a distinct chocolate such as L'Harmonie, a 64 percent dark chocolate blend available from E. Guittard consumer sales (800/468-2462). 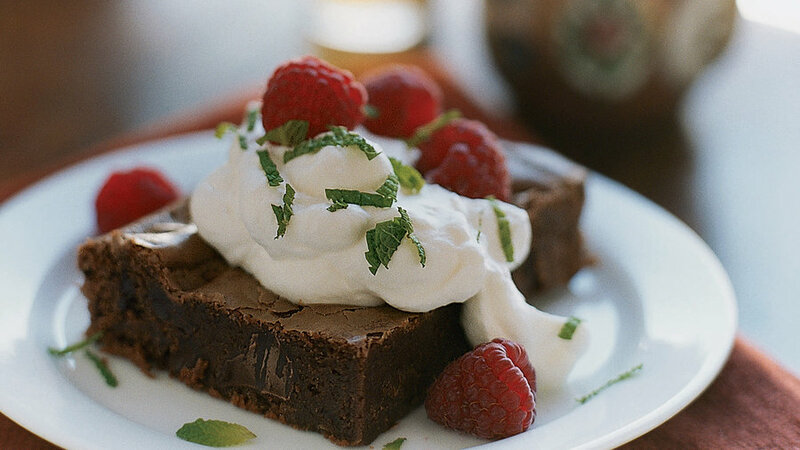 Serve wedges or squares topped with lightly sweetened, softly whipped cream, chopped fresh mint, and fresh raspberries; or crown pieces with vanilla ice cream and a drizzle of caramel sauce. 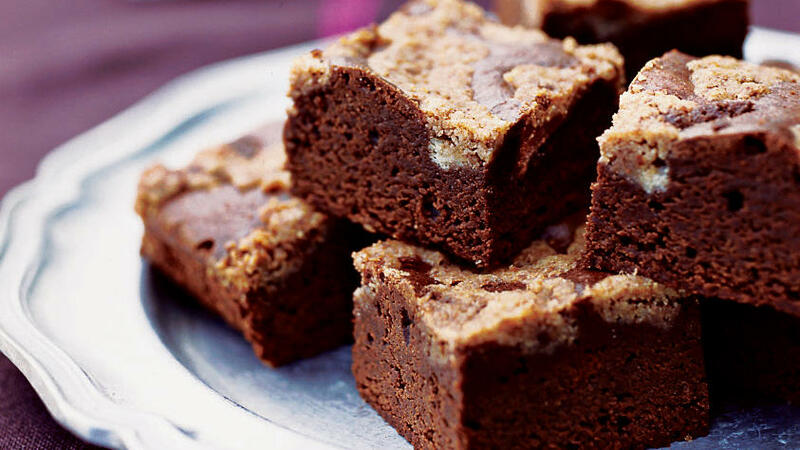 We couldn't decide which we liked better, the crunchy outside pieces or the gooey inside ones. 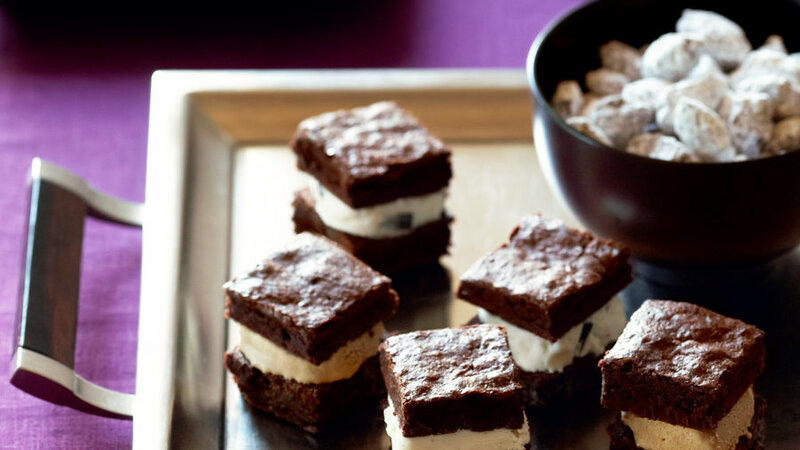 Leftovers are unlikely, but you can store the brownies airtight up to 1 day. Store-bought ice cream works fine here, or you can make your own; our classic Vanilla Bean recipe would be a good place to start. 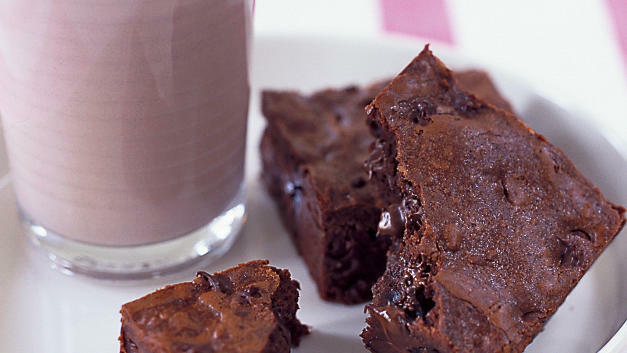 If you like super-chocolatey, fudgy brownies (and who doesn’t? ), then these are for you. Lord have mercy, are these ever good. 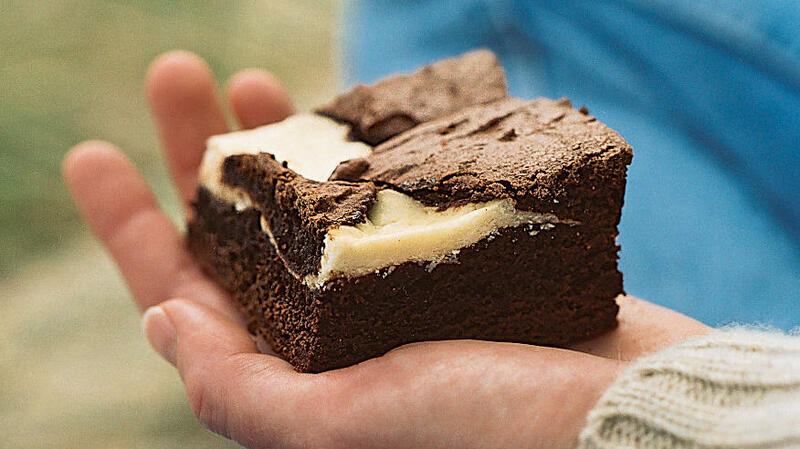 Tart yet rich fromage blanc cheese gives these fudgy brownies a fun Western twist. 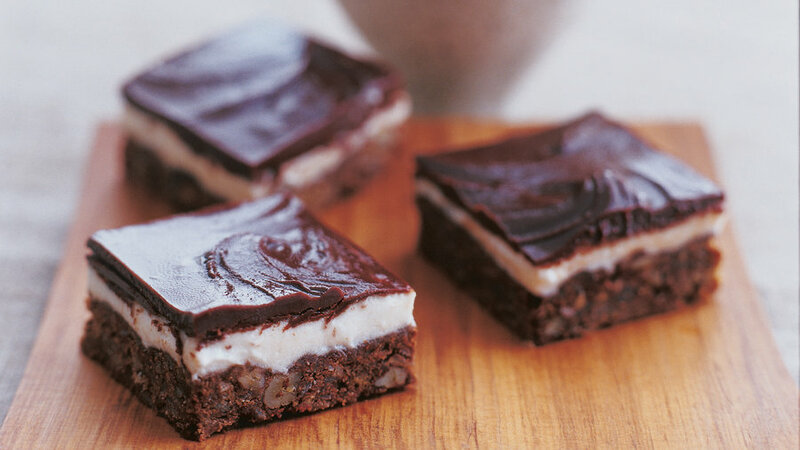 One reader called this decadent dessert “dangerous” because you won’t be able to stop eating it―we couldn’t agree more. 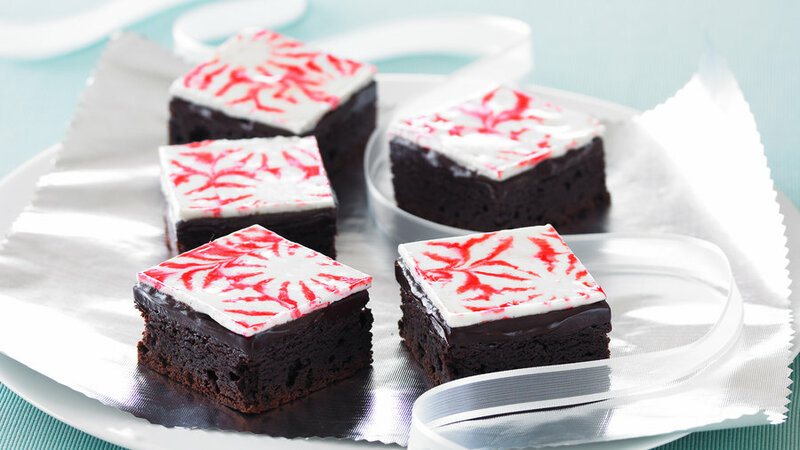 These rich chocolate brownies are topped with a delicate layer of peppermint candy. They're perfect for the holidays. 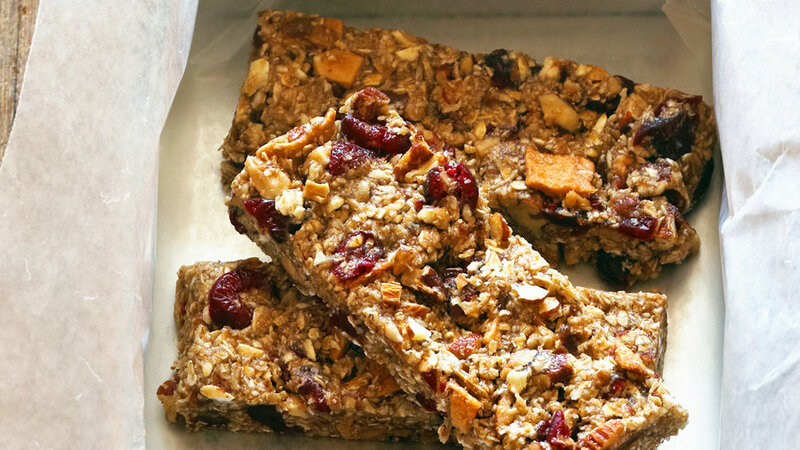 We can't quite call these dessert bars "health food," but with whole-wheat flour, wheat germ, and rolled oats mixed in, they're much more respectable. 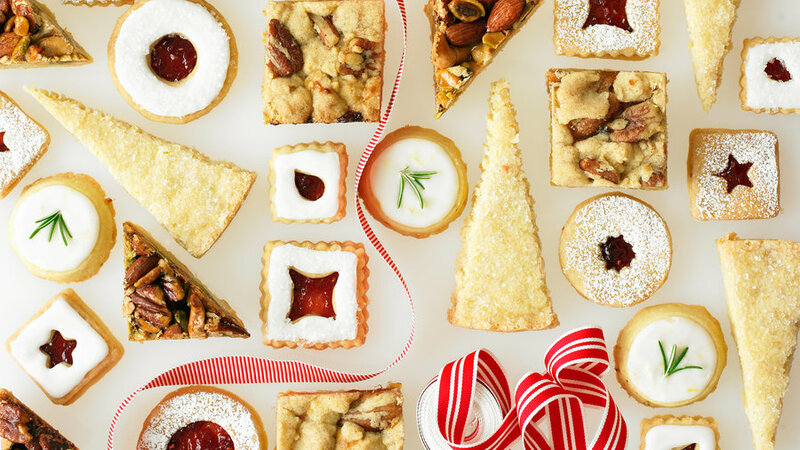 These sweet-and-tart treats are great for a winter holiday party. 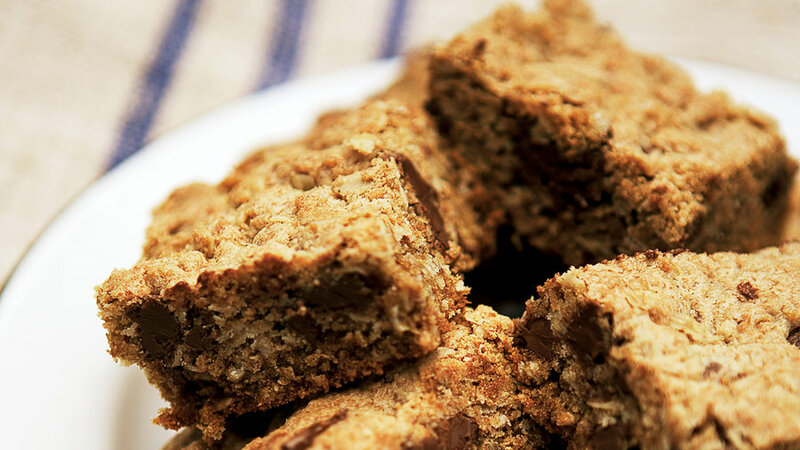 Peanut butter and chocolate top an oatmeal cookie base in our Peanut Butter-Oat Bars, while our cheescake squares get a streusel topping. 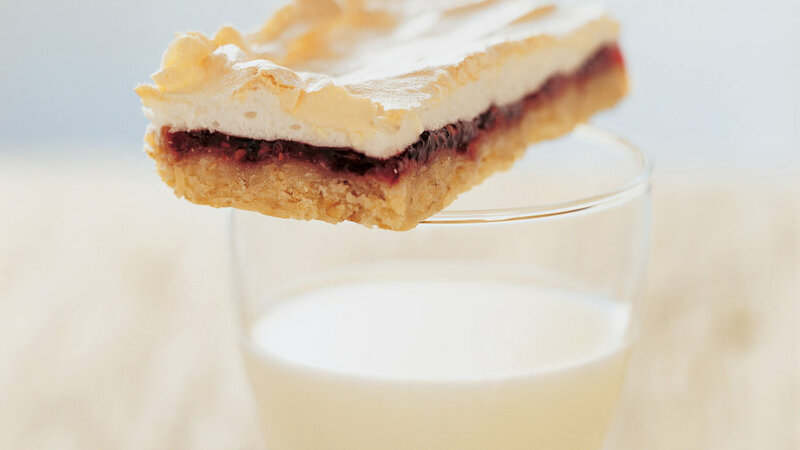 Phyllis Ciardo of Albany, California, developed her own rich and chewy version of the meringue-topped bars she remembers her mother baking every Christmas. 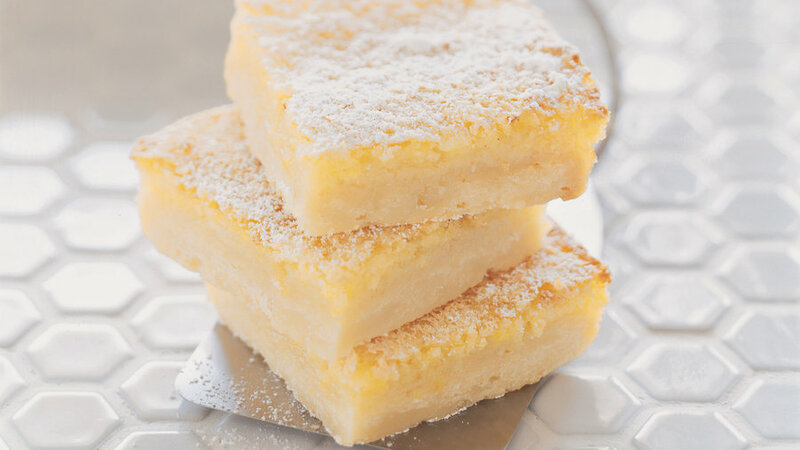 With a buttery crust and custard-like filling, these lemon squares taste as good as they look. 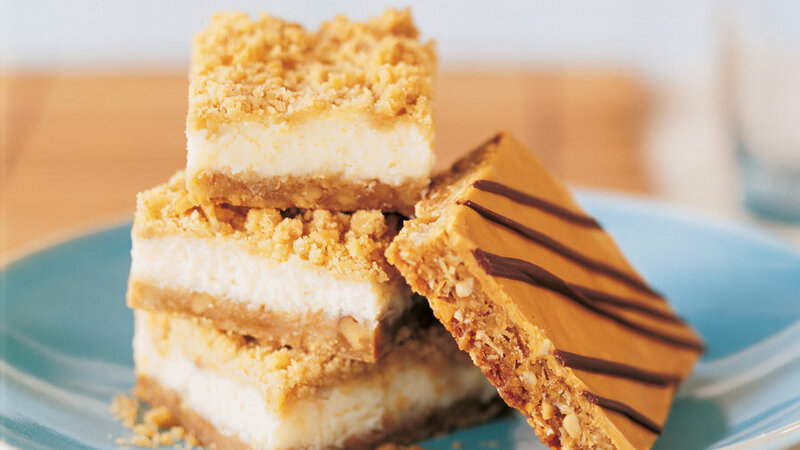 A dusting of powdered sugar completes the bar cookie recipe. 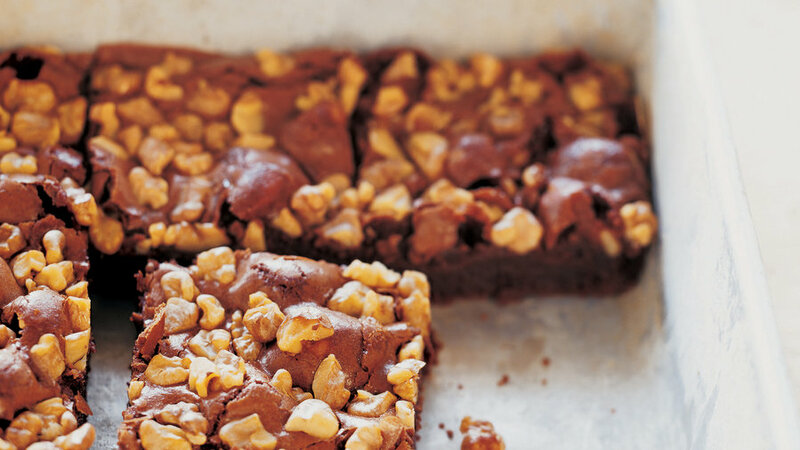 Even when we almost burned the crust of these buttery bars, we still couldn't stop eating them and ended up with a new crunchier variation. We hope you'll enjoy them as much as we did. Don’t worry: The mixture looks too dry, but it will come together as a dough. 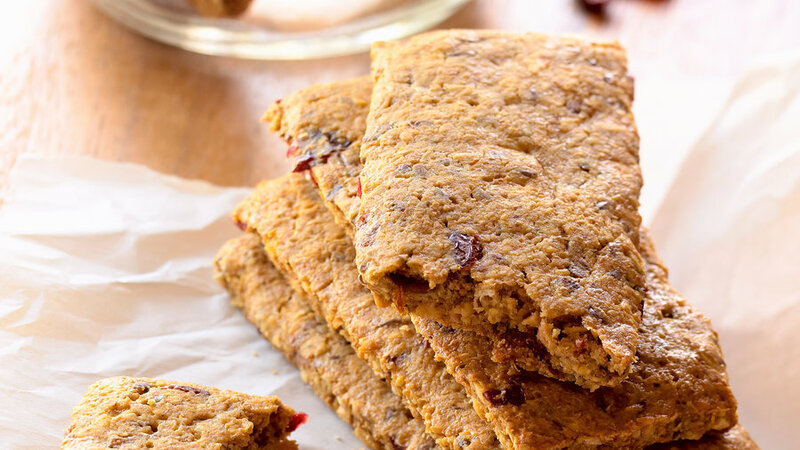 This spicy-sweet pumpkin recipe is perfect for Halloween or any autumn get-together. 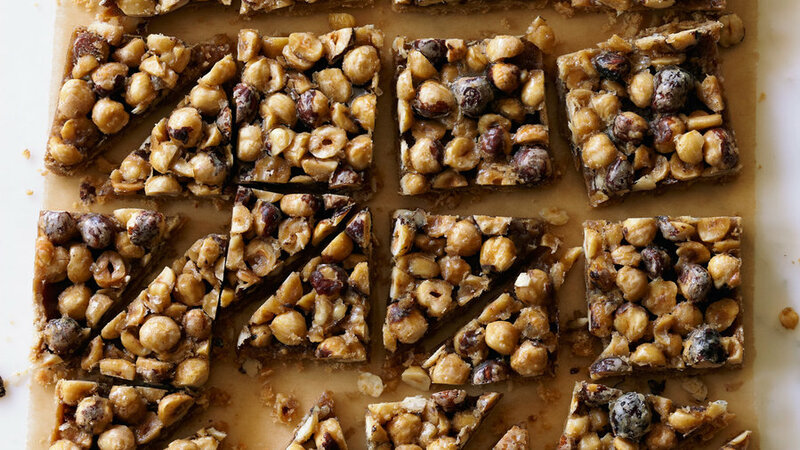 Our favorite chocolate chip cookie gets a bar-shaped makeover. 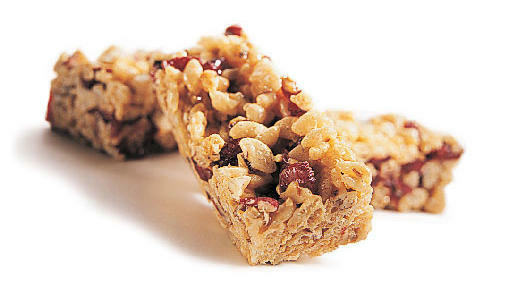 Combine four whole grains with peanuts and peanut butter for a bar that's filling as well as delicious. 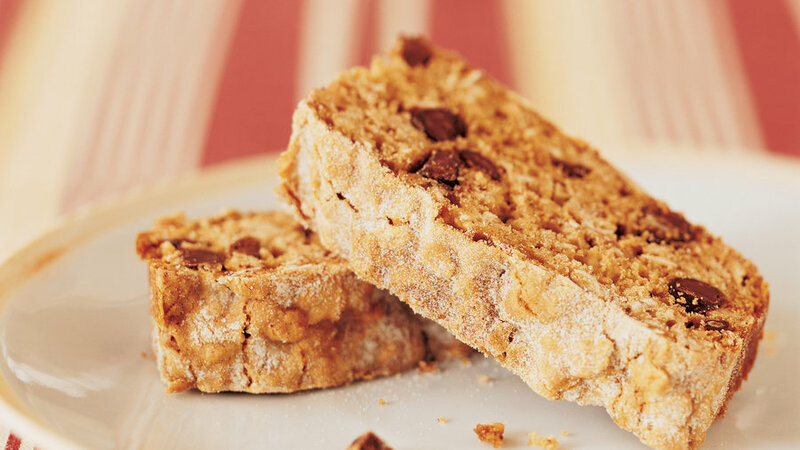 Named after a town in British Columbia, this popular Canadian bar cookie has a creamy topping and a graham cracker-pecan crust. 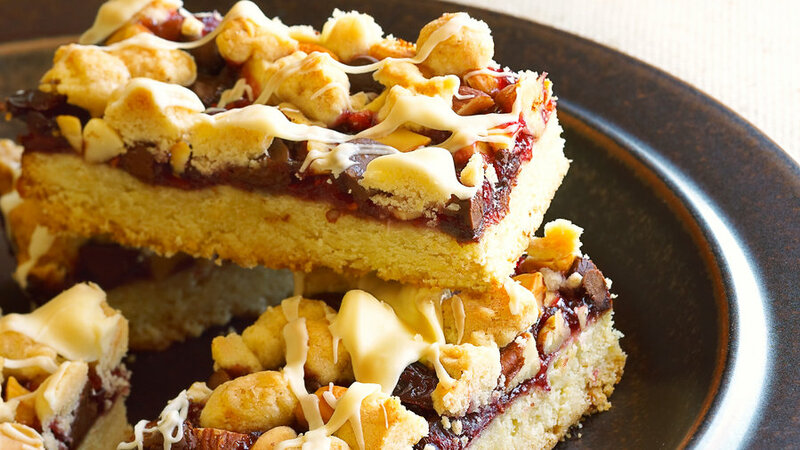 The colorful mixture of fruit and nuts makes for a festive presentation atop rich shortbread. 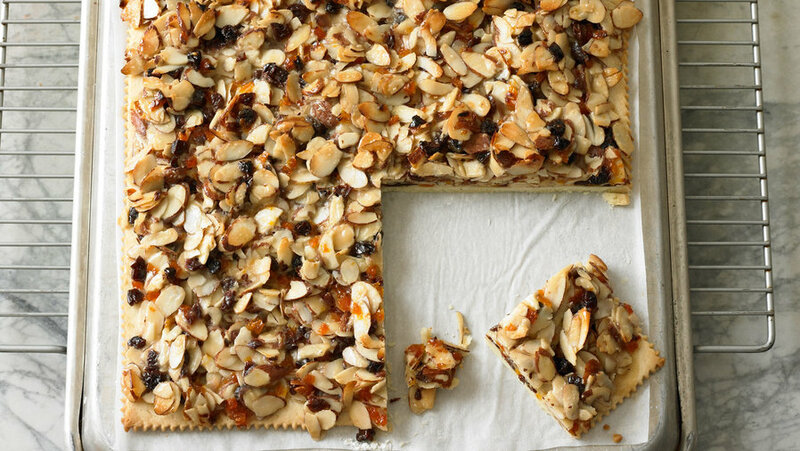 The buttery shortbread is heavenly with the honey caramel that’s baked around this salty nut mixture. 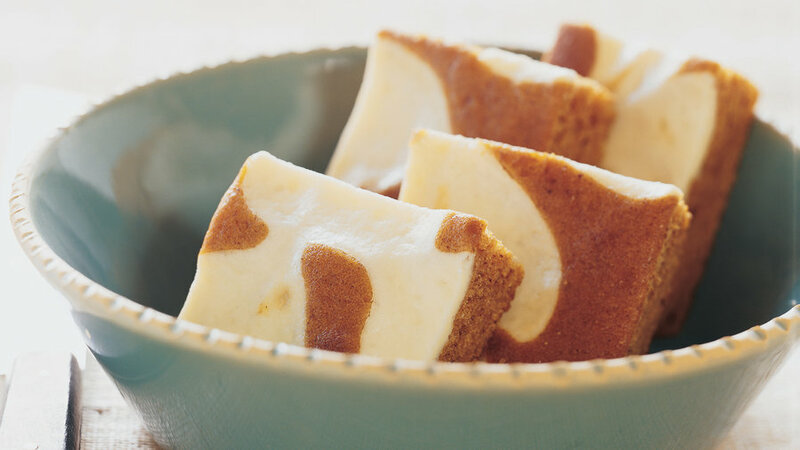 Cut them into various shapes and set out with coffee or a cool weather cocktail. 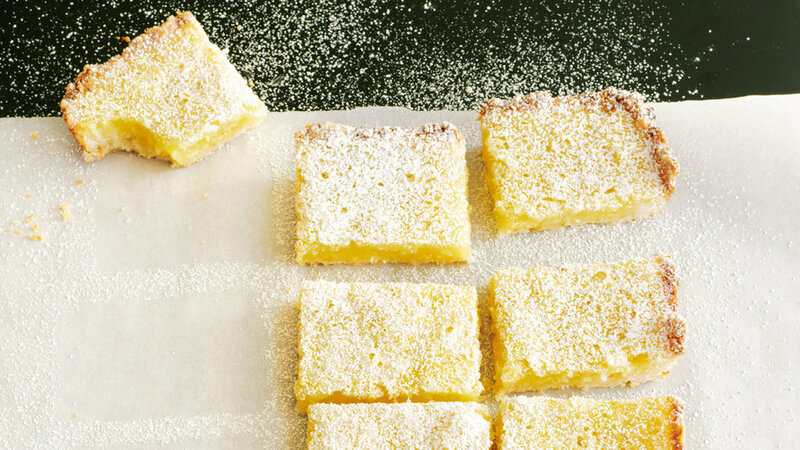 A two-citrus filling and a toasted-coconut base make this version of the traditional lemon bar both bright and rich. 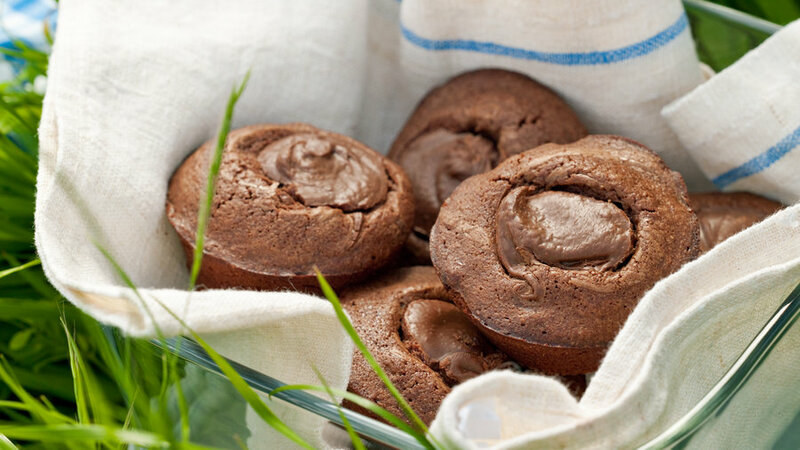 For bars with flecks of zest but no foamy top, whisk the egg mixture just enough to blend.